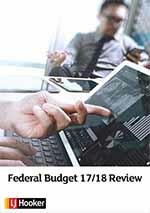 In the recent Federal Budget (May 2017), the Government has proposed measures that aim to reduce the barriers to downsizing with the aim being to encourage some older people to downsize from homes that no longer meet their needs and free up housing stock for younger families starting out. The proposed mesaure has been created to provide older Australians with greater flexibility to contribute the proceeds of the sale of their home into superannuation which they hope will reduce the current disincentive to downsize. Here are some frequently asked questions to help you understand what it means to you. From July 1, 2018, this measure will allow a person, aged 65 or over, to make an additional non-concessional contribution of up to $300,000 from the proceeds of selling their principal residence, if owned for 10 years or more. In addition, both members of a couple will be able to take advantage of this measure for the same home. This is a positive measure from the government and will hopefully be the catalyst to bring under-utilised family homes to the market. The issue is that older home owners are currently unable to invest the proceeds from selling their home into their superannuation which appears to be discouraging older people from downsizing This means that many larger family homes sit occupied by only singles of couples. Encouraging downsizing should enable more effective use of the housing stock by freeing up larger homes for younger, growing families. What property can you sell to get this incentive? This measure will apply to a principal place of residence held for a minimum of 10 years. Both members of a couple will be able to take advantage of this measure for the same home, meaning $600,000 per couple can be contributed to superannuation through the downsizing cap. Does this effect any other voluntary contributions to superannuation funds? No - These contributions will be in addition to any other voluntary contributions that you are able to make under the existing contribution rules and concessional and non-concessional caps. What will be the impact of the new downsizing incentive? It is hoped that this measure will encourage some people to downsize into housing that is more suitable to their needs, freeing up larger family homes for younger families. It will assist people aged 65 and over who are currently unable to contribute all or any proceeds of the sale of their home into superannuation because of the existing restrictions and caps. Will sale proceeds contributed to superannuation under this measure count toward the Age Pension assets test? Yes. Any change in the person's superannuation balance as a result of this measure will count towards the Age Pension assets test. Will contributions made under this measure be exempt from the $1.6 million transfer balance cap? No. Only people who have remaining transfer balance cap space will be able to convert their contributions into a pension phase account where earnings are tax-free. Will the $1.6 million balance threshold for making non-concessional contributions also apply to the special downsizing cap?